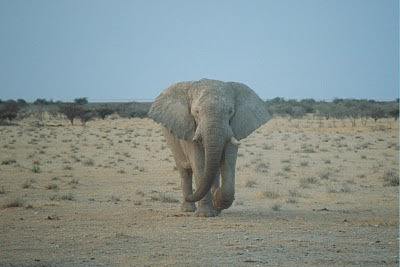 TravelComments.com Official Blog: Botswana to open an ivory museum & a geology and mining museum! Botswana to open an ivory museum & a geology and mining museum! Botswana is set to open a new ivory museum and a new geology and mining museum. According to the deputy director of Botswana's Department of National Museums and Monuments, Stephen Mogotsi, the ivory museum will be opened in Gaborone, while the geology and mining museum will be located in Francistown. The ivory museum will be a specialised museum within the Natural History Centre in Gaborone's Botanical Garden. The objective of the new museum is to preserve Botswana's bio-diversity and showcase the story of African Elephant. The geology and mining museum, which will be called Gerald Estate National Monument (GENM), will also be a specialised museum. Located in Gerald Estate in Francistown, it will be showcasing the geology and early mining in the Francistown area. The museum will be a first of its kind in Botswana and will be declared a national monument. The construction of both museums is expected to to commence in 2019/20 while exhibitions are expected to start in 2020/21. We'll keep you posted!